Spring fever https://skyeent.wordpress.com/2019/04/19/spring-fever/ — Read on skyeent.wordpress.com/2019/04/19/spring-fever/ Poly tunnels and new growth! ‘Well-being Wales’ – agroecological food and farming transitions http://foodmanifesto.wales/2019/04/01/well-being-wales-agroecological-food-and-farming-transitions/ — Read on foodmanifesto.wales/2019/04/01/well-being-wales-agroecological-food-and-farming-transitions/ Agroecology answer to a question not enough people are asking! Ta-da! Here is your garden. https://lettuce.fm/blog/urban-farming/ta-da-here-is-your-garden/ — Read on lettuce.fm/blog/urban-farming/ta-da-here-is-your-garden/ Gardening saves the world, one bed at a time. 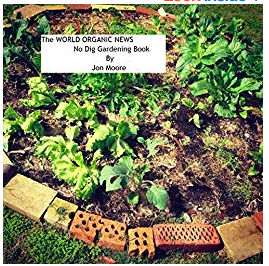 Lawn to FOOD FOREST In 5 Years, Natural Farming Permaculture Gardening https://teelanding.com/2019/03/lawn-to-food-forest-in-5-years-natural-farming-permaculture-gardening/ — Read on teelanding.com/2019/03/lawn-to-food-forest-in-5-years-natural-farming-permaculture-gardening/ It can be done! Food returns, some of them, come in more quickly than five years. The Gander Tests the Electric Fence!